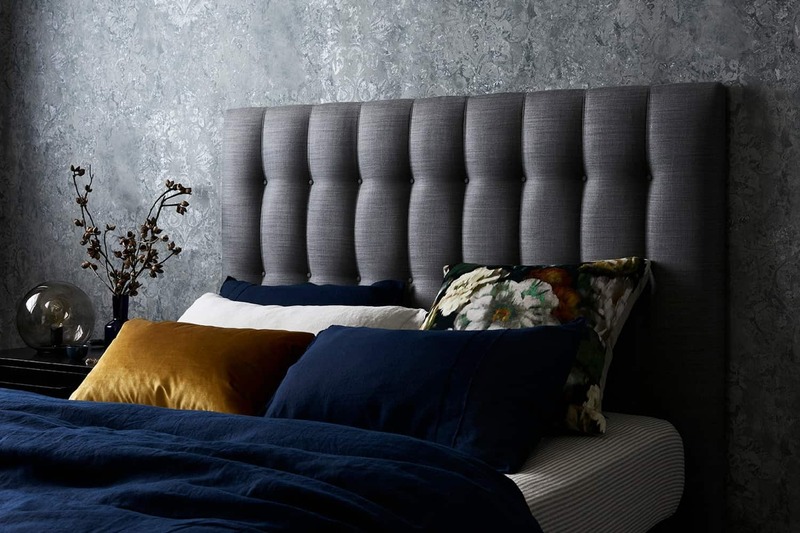 With sumptuous design at the forefront of interiors, our latest bedroom collection creates an exciting awakening of the senses. 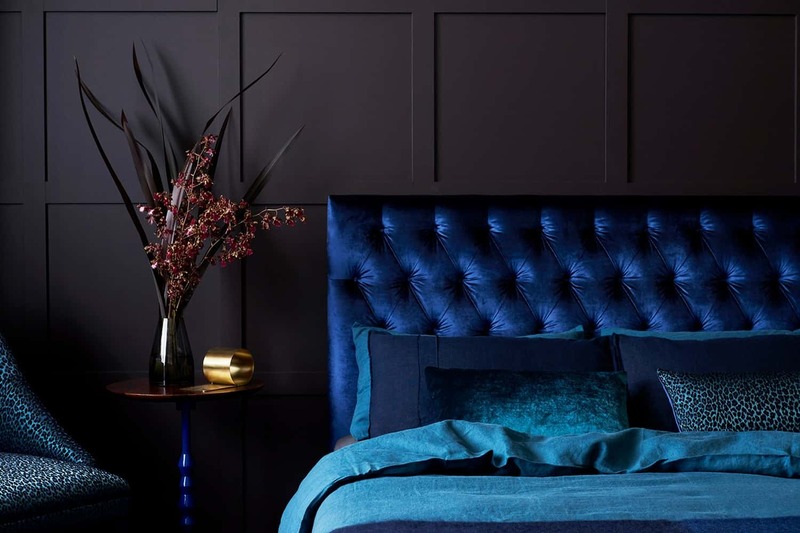 The Soho bedhead and bed highlights divinely sumptuous Ellison velvet in the richest indigo blue. 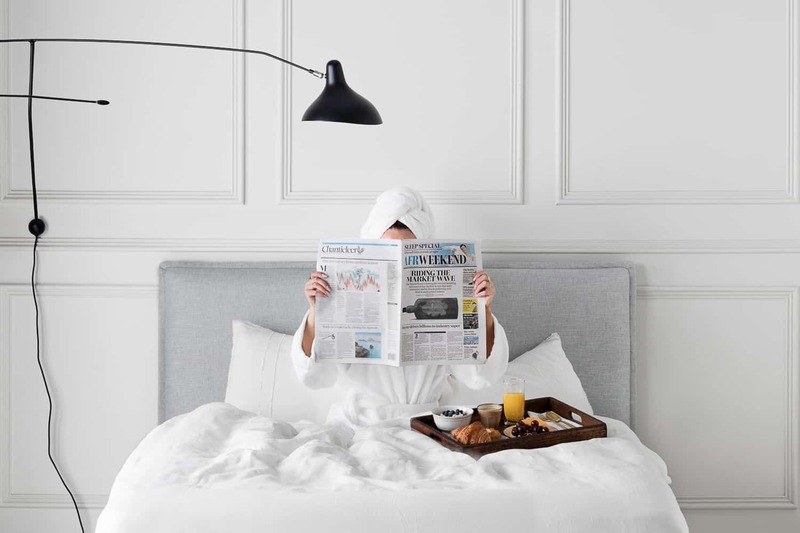 In response to a prominent trend at the European furniture fairs, this new bed ensemble features a bed base with a wider side profile hovering slightly off the floor to create a lower silhouette. Adding a contemporary twist on the classic, the Soho features a tufted deep diamond buttoning detail paired back with a sewn seam. 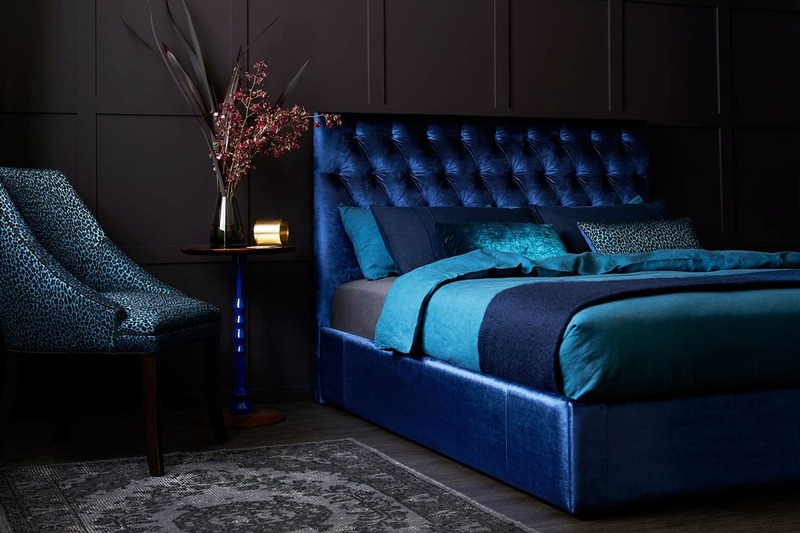 Teamed with Heatherly’s new Crosby chair in the incredibly striking Catherine Martin Leopardo Sapphire Velvet, Soho reflects the move towards opulence and comfort. 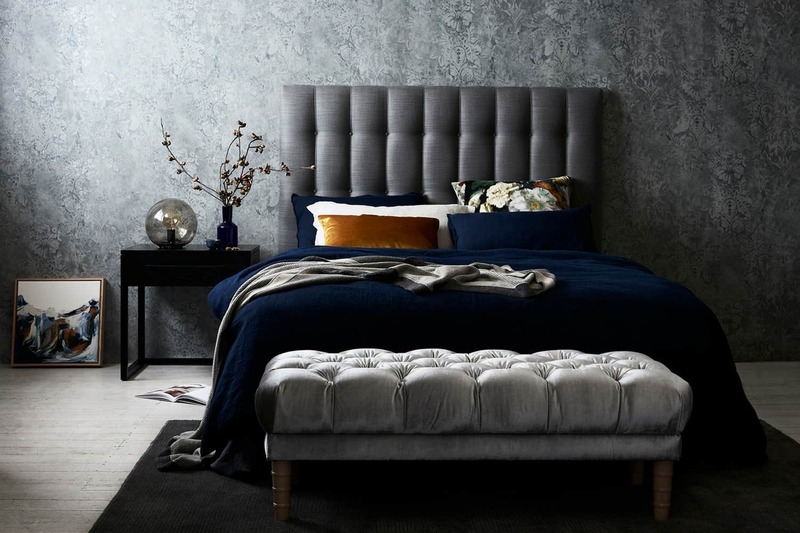 Moody greys create a classically cool but sophisticated scene with the Chelsea bedhead. Shown here in the new Belgian Aramon Steel Linen, teamed with the deep-buttoned Marco footstool and custom made Oxley side table. 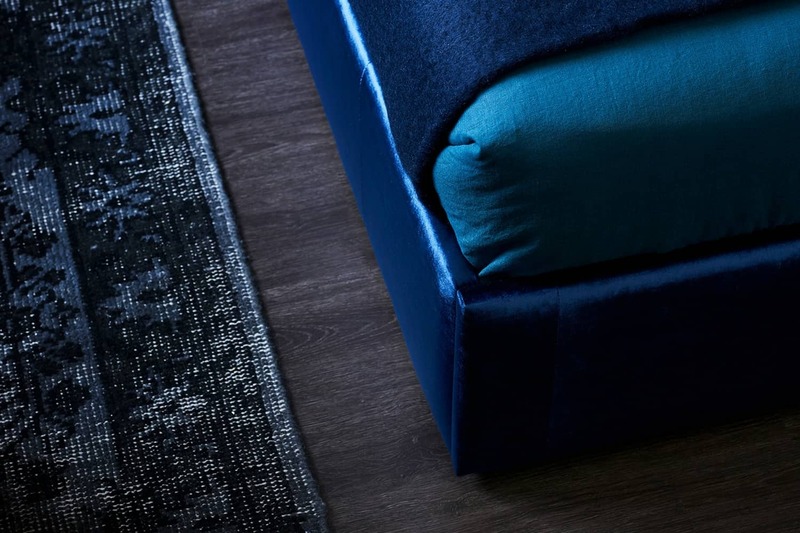 A timeless design that takes on both traditional and contemporary elements harmoniously. With special thanks to photographer Eve G Wilson, Stylist Ruth Welsby and Creative Director Michelle Pennington. A BEHIND THE SCENES VIDEO OF OUR NEW COLLECTION!